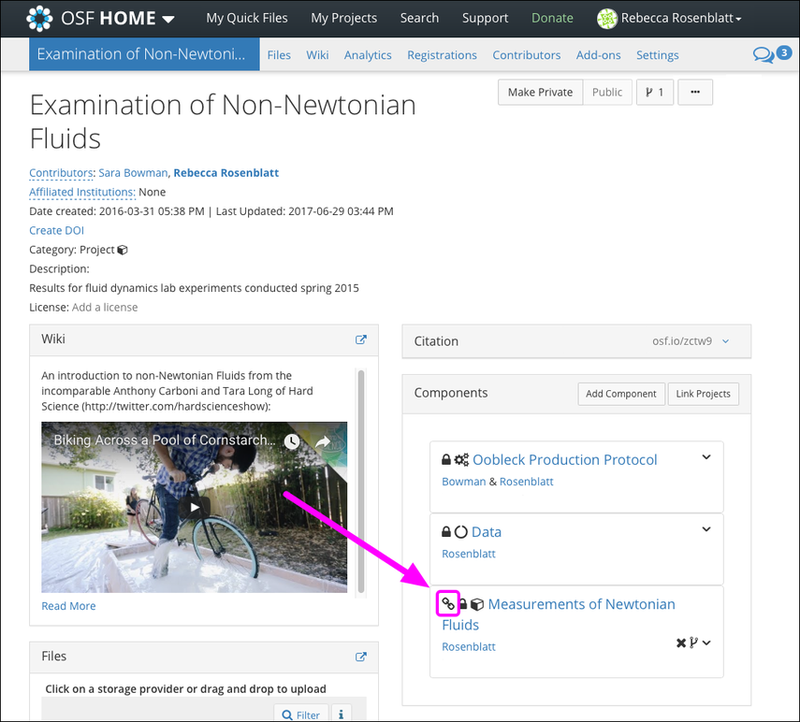 Linking to other projects creates a path for you and others viewing your project to find related work. 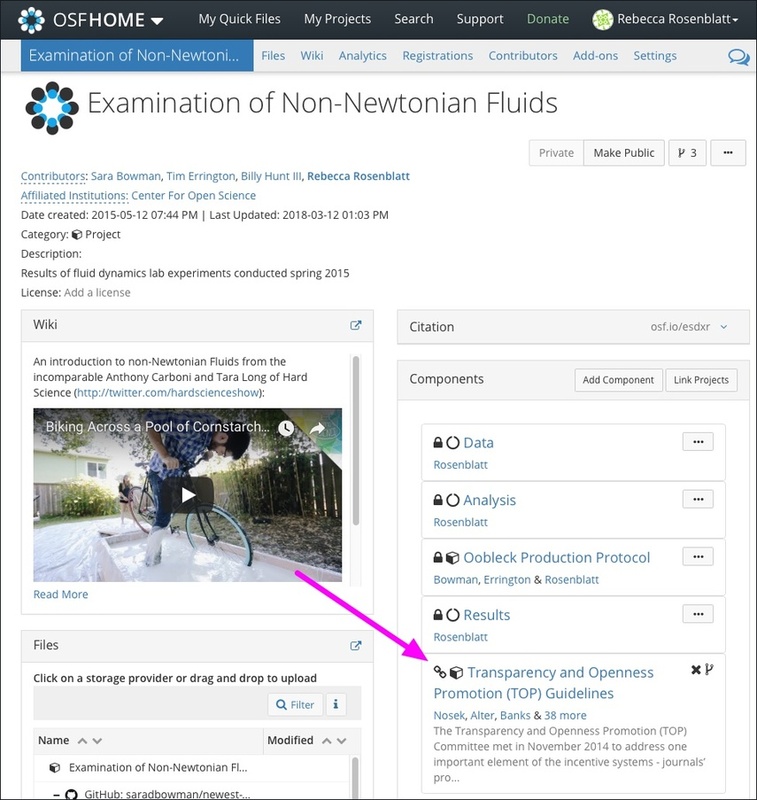 Linked projects are found in the "Components" section of a project "Overview" page. 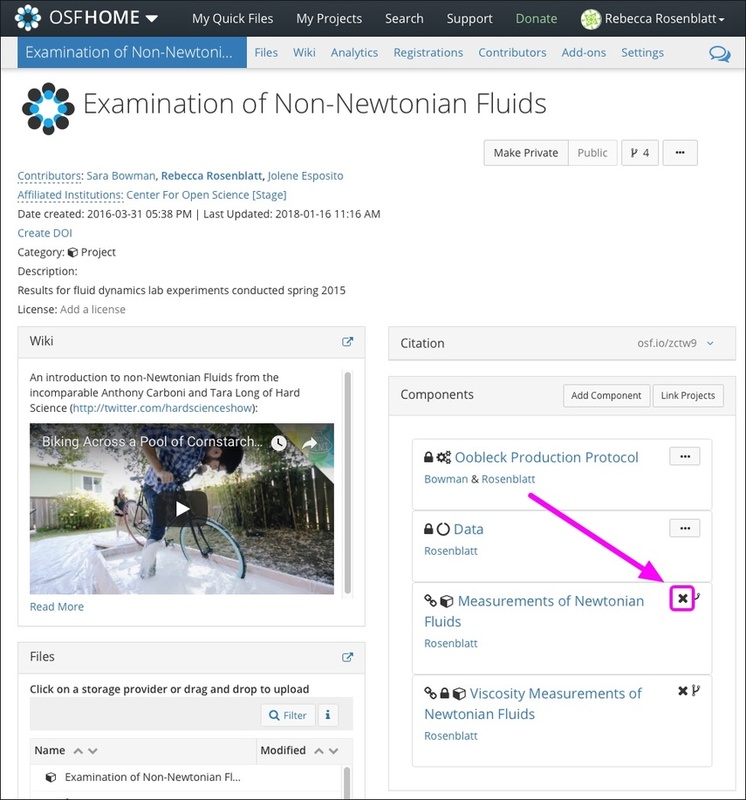 Links have a link symbol in front of them to distinguish them from components. 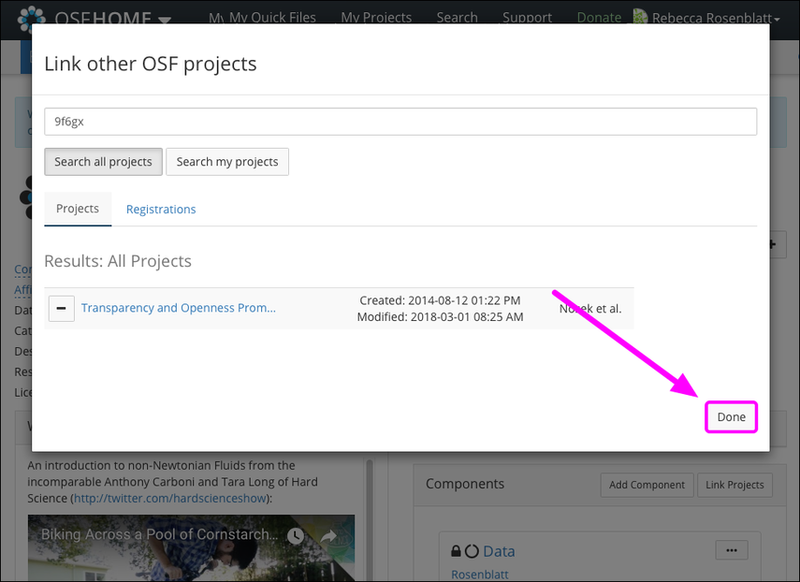 First, open your project, then click the Link Projects button in the "Components" section. 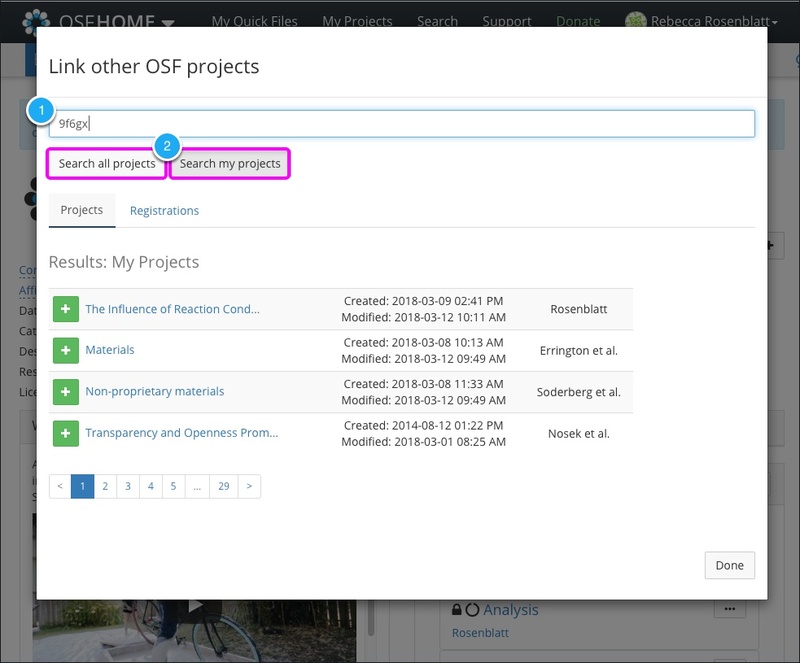 The "Link other OSF projects" modal will appear. Your projects will be listed by default. Enter a project title or project GUID into the search box. Searching by GUID is faster than by title, as the GUID is unique to each project. Then click either the Search all projects button (if the project you want to link to is not your's), or the Search my projects button (if you want to link to one of your own projects). A list of projects will appear. 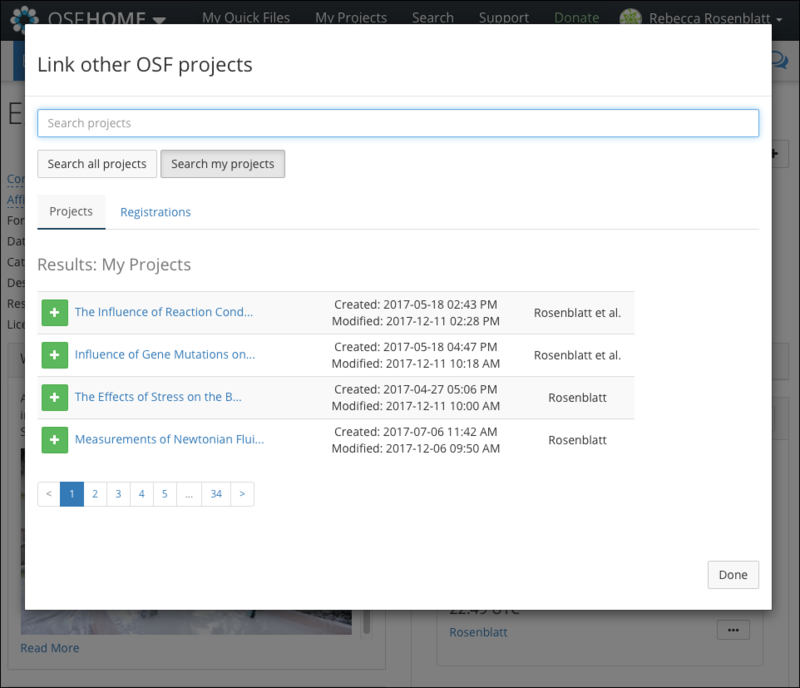 Note that if you click Search all projects, the OSF projects may take longer to load since there are more of them. 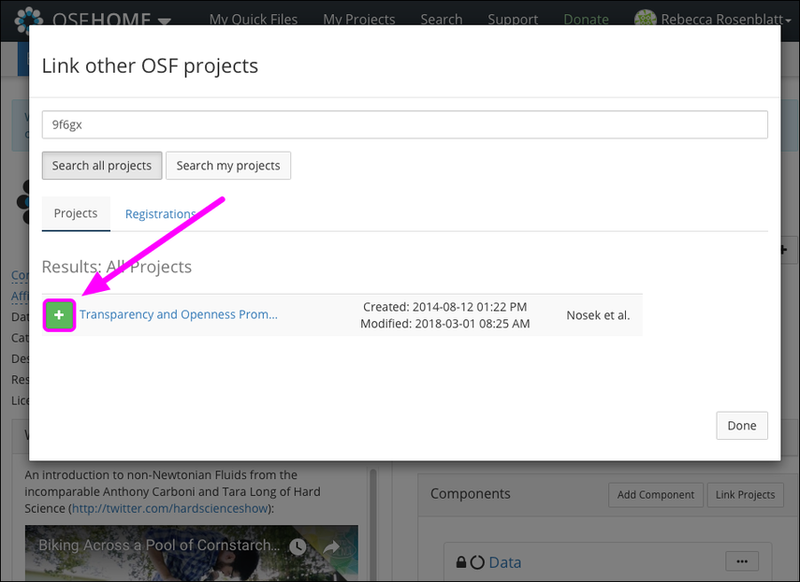 Click the green + icon next to the project to which you want to link. Then, click the Done button. The linked project will appear in the "Components" section of your project. 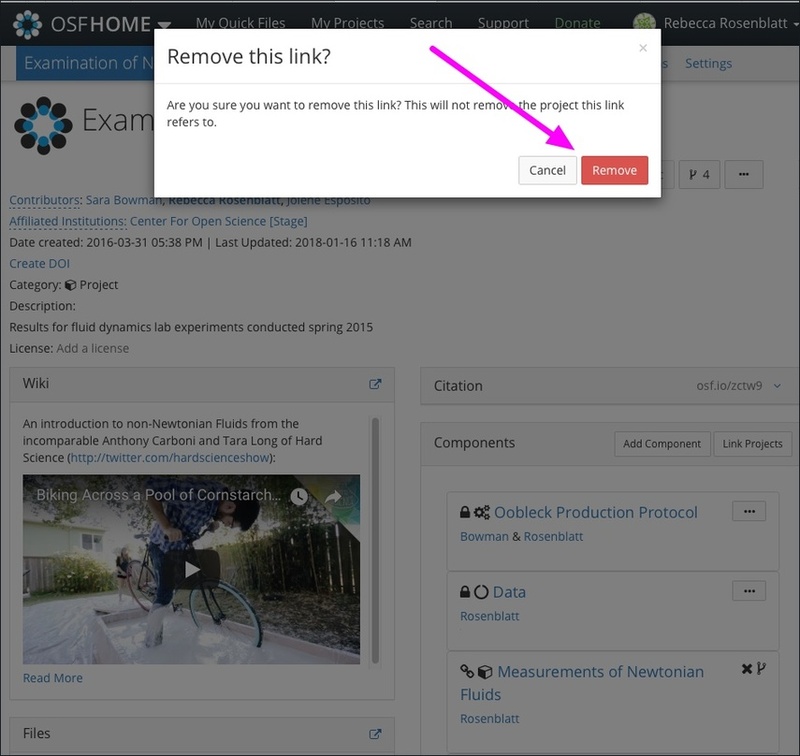 To remove a link from your project, click the X icon next to the linked project's title. A confirmation modal will appear. The linked project will be removed.